American citizens can apply for passport services in the U.S. territory of Puerto Rico at a number of locations. There are currently more than 20 passport application acceptance facilities, 3 of which are in the capital, and the regional passport agency. Acceptance facilities are usually located in postal offices. Applicants can submit Form DS-11 and supporting documents at these locations in order to obtain a new passport or replace one that has been lost, stolen or significantly damaged. Renewals, some name changes and corrections can be obtained directly by mail. An authorized acceptance agent at these locations will review documents, administer an oath and witness the signing of the application form. The application will be mailed to a processing center. Time to complete the process is estimated to take from 4 to 6 weeks unless you request expedited service. 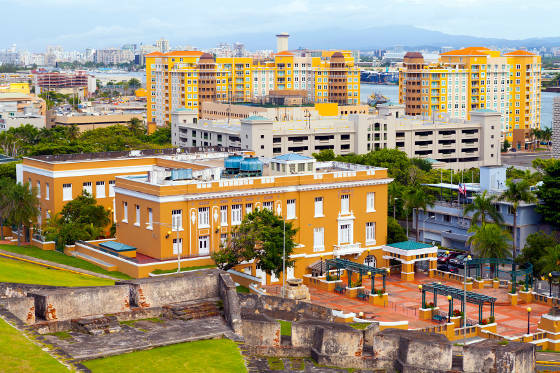 The fastest way to get a passport in Puerto Rico is to visit the regional agency in San Juan where same-day service is available to those with emergency travel needs. Schedule an appointment if possible but you can usually get your passport expedited at the agency even if you do not have one. Just be sure you have all the required documents before arriving so as not to delay the process. Note, a passport is not required for citizens of the United States to travel between the U.S. and Puerto Rico.